Do you know how to access the iPhone X’s multitasking? As you already know, the iPhone X features new touch gestures to perform any action that we want due to the fact that the Home button was removed from this new phone. The truth is that we could actually perform a lot of functions, multitasking being one of them. 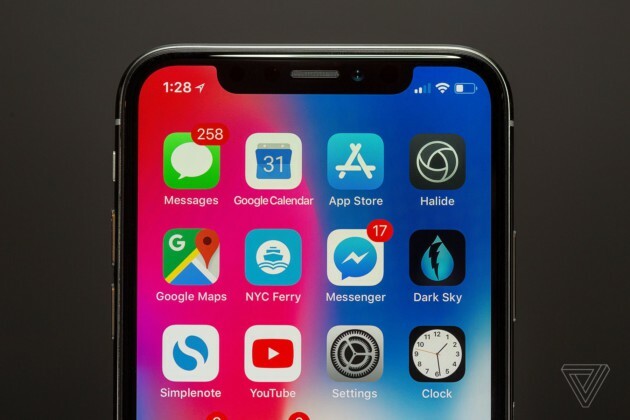 This is why the people at Cupertino have created two alternatives that will allow us to use multitasking on the iPhone X in a simple way, and you will know how to do it if you keep on reading. Krom, the gaming peripherals manufacturer, has recently unveiled its new gamepad called Krom Key. According to the brand, this new peripheral has been designed for those gamers wanting a small improvement on precision and games’ playability from any angle, and it comes to dominate the battlefield. Linksys’s new RE9000 is equipped with an integrated signal amplifier which uses 2 signal emission channels (each at a frequency of 5 GHz). The device claims to be able to eliminate signal dead zones and offers automatic upgrades. Buyer’s guide: what tablet should you buy for working and taking down notes efficiently? Do portable computers and ultrabooks seem too bulky to you? Would you rather use a lightweight tablet with good battery autonomy for working or for taking down notes in class? The following selection of tablets from manufacturers as diverse as Huawei or Samsung – with or without a stylus – should allow you to do just that. While users of Samsung expect a final and stable version of Android 8 Oreo for the Galaxy S8 and Note 8, there are others already testing the new software in their beta Samsung for flagship. Now we see comparison between Samsung Galaxy S8 with Oreo. This is extra with Android 7 Nougat. The iPhone X will be released on Friday, but the first test results appeared on Tuesday. Apple lent out its smartphone to twenty or so American media outlets. So, what did they have to say about this smartphone which retails for more than 1 000 euros? A selection of twenty or so media outlets published their test results for the iPhone X on Tuesday. Apple selected a few specialized organizations (Engadget, The Verge, Tom’s Guide), some influential organizations (Six Colors), more general media outlets (BuzzFeed, CNN, Wired…) as well as some business news outlets (Business Insider, Forbes, TechCrunch…) to test their new device. The AOC Q3279VWF is a new monitor of large size and resolution that is now available on the Spanish market. It is perfect for gaming and for anything you do in general, and it offers great specifications if we take into account how affordable it is. You already saw how the monitor market is doing thanks to our October monitors guide. Good panels are expensive and there is maybe an excessive focus on gaming, or rather on their marketing. Adding the word gaming to a monitor’s name apparently equals to a boost in sales (and prices), as it is a direct way to sell new monitors while also counterbalancing the OEM’s desktop PC market fall.